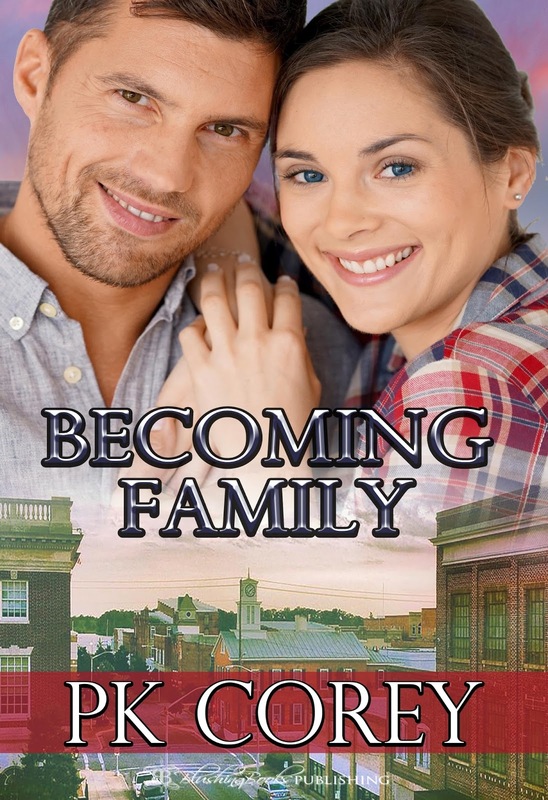 Before they can become family, Jenny must learn what that word means. Against overwhelming odds, Jenny and Cal are together and happy. Their love is strong, but before they can become family Jenny needs to learn what that word means. Jenny has no background in the real meaning of "family" but when Cal wants her to meet his and get to know hers, she knows the time has come. The difference in the two families is wide and jarring. Jenny has a lot to learn, but then so does Cal. When he meets her family, he discovers that the word family doesn't always mean the same thing to all people. to see that Jenny accepts a life of high society and prestige? Will these two lovers come to an understanding of what their family will look like? “A striptease!” Jenny laughed. But with a shrug, she dug out her phone and found appropriate music. Cal’s eyes widened as she began – damn, had she been practicing or something? Discarding her clothes in a most elegant and sensuous way, Cal wouldn’t have looked away for a million dollars. Stopping with only her thong on Jenny crawled up on the bed and gave Cal a kiss that made him feel like he was about to embarrass himself. He quickly undressed before sitting back on the bed and leaning back against the headboard once more. Taking a deep breath, he pulled her across his lap, shifting a little to accommodate his erection. “Stop it, what’s going on?” Jenny asked trying to pull away. “Cal, don’t you dare! You know I was teasing. You can’t spank me for that. Let me go!” Jenny told him angrily. The love of writing came to me late in life and I spent time trying to fit writing into a busy schedule. Recently I retired, the kids are out and on their own and my wonderful husband encourages me to spend more time exploring the world of writing. I always hear you should write what you want to read, so I have. I write loving domestic discipline with the stress on ‘loving’. I want a strong man who cherishes the woman he loves and will go to any length to keep her safe and protected. My Cassie’s Space series shows a mature couple who are deeply in love. Despite loving Cassie’s free spirited ways Tom is determination to keep her safe, even if it takes a trip over his knee. My new series, Cal’s Law, is about a younger couple. Though they come from very different backgrounds, love and discipline draw them together. What is your writing environment? I love to write in the mornings when I have the house to myself and it’s very quiet. We have a sunroom that overlooks our pool and the small forest behind out house. I’m there most morning with my coffee, a fire if it’s cool, the windows opened if it’s warm. Add a cat or two and I’m ready to write. What are you working on now and when can we expect it to be available? I’m working on my latest Cassie book. I’m enjoying the writing process and I’m taking my time. I’ll soon be finished with the first draft, but it will be a while before it comes out. Hopefully it will be sometime late in 2017. I’m a true southerner. I live in the small town where I was born. I taught for twenty-eight years in my old high school, just down the street from the home where I grew up. All my characters are southern as well. Cassie and the gang as well as Cal and Jenny live in the town where my mother was raised and where I’ve loved visiting all my life. My Cassie character has been in my head for fifty years. I would justify all the time I spent day-dreaming by telling myself I’d write her stories as a book someday, but I never really believed it would happen. Then ten years ago I found blogs and some wonderful people who wrote spanking stories. I tried my hand at blogging and writing the stories Cassie had whispered in my ears all those years. The response was very encouraging. I finally made that old dream of writing books a reality. Thanks for having me, Olivia.